Farm Insurance Hopkins County Texas – Call or Click for Farm Insurance Today! Do you own a farm in North Central Texas? Are you seeking Farm Insurance in Hopkins County Texas or one of the nearby counties? If so then you have come to the right place. 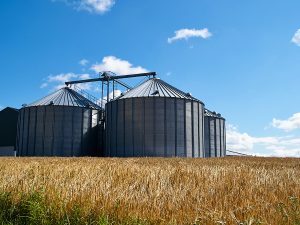 Country Side Insurance offers excellent rates and great coverage on Hopkins County Texas Farm Insurance, as well as Farm Insurance for Grayson County, Denton County, Collin County, Lamar County, Delta County, Fannin County, and Hunt County. To speak with a Country Side agent call us toll free at 888-505-7550 or direct at 903-378-7300. We are open for business Monday through Friday 8:30 AM to 12:00 PM and 1:00 PM to 6:00 PM. Jim is a farmer in Hopkins County. Due to expansion of his farming business, Jim sees the need for more space to house equipment and in which to work. To save money, he enlists the help of his son to build the shop rather than pay a building contractor. Together Jim and his son erect a 20 x 30 all-metal shop with a concrete slab floor. When Jim purchases an insurance policy for the new structure he insists on insuring it for $16,000. After all, the sheet metal, supports, concrete slabs, and other materials cost a total of $16,000. “Why insure it for more than it cost to make?” Jim reasons to himself. Additionally, a lower insurance limit means lower insurance premium payments. Several years go by. Jim gets a lot of good use out of his shop, and business is going well. One night in the height of summer a violent storm blows in. The fierce winds bring down two ancient oak trees on Jim’s property. The trees both land directly on the shop Jim and his son built years ago, completely destroying the structure. Jim files an insurance claim for the loss of his shop. After assessing the situation his insurance company estimates that the replacement cost of the shop is $30,000, but because the limit of insurance on Jim’s policy is set at $16,000 he will only be reimbursed for $14,000 after his $2,000 deductible. How did the insurance company come up with this number? Farm Insurance Hopkins County Texas – Call Today For Free Quotes!